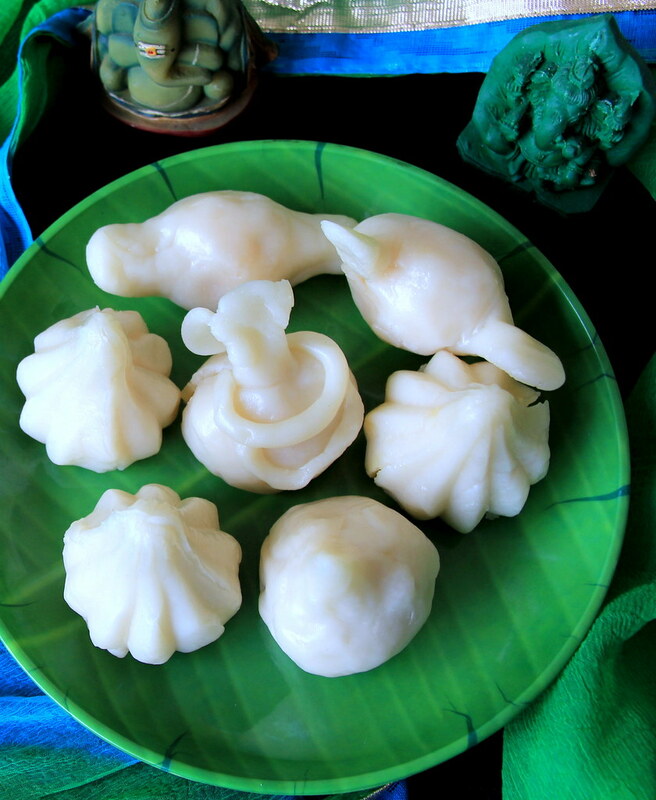 After I made Koya Modak / Mawa Modak recipe I had very little Mawa left in my fridge. 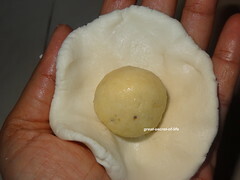 I was wondering what to do with that Then I surfed thro' a magazine I saw this Modagam recipe with Koya. 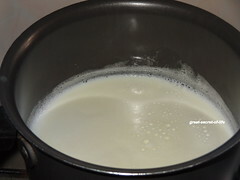 I decided to give it a try. 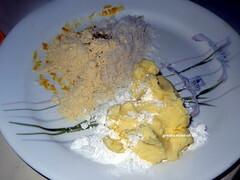 To me this like a fusion recipe. 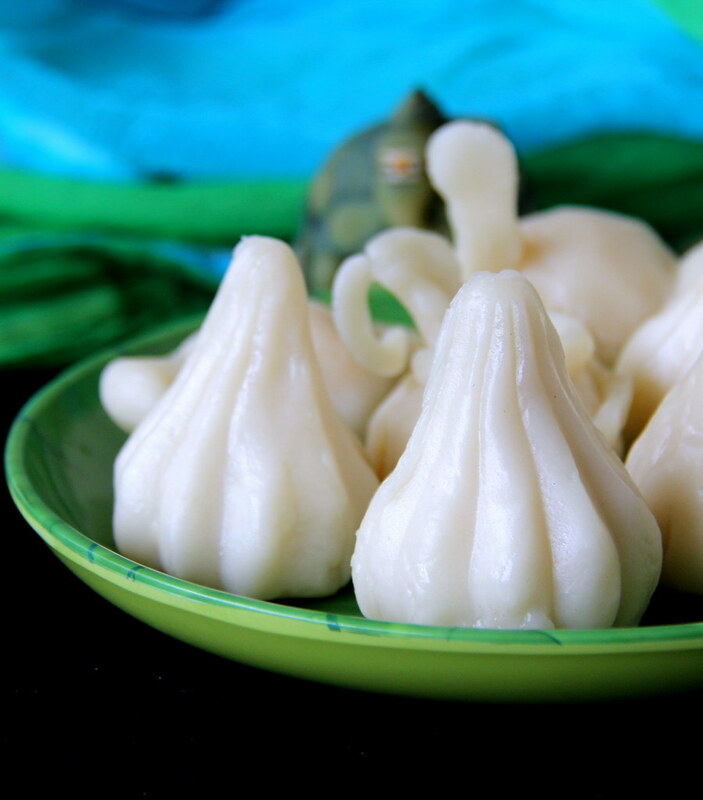 No compromise in the taste. 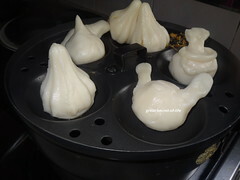 I wish my friends a very happy vinayagar chaturthi. 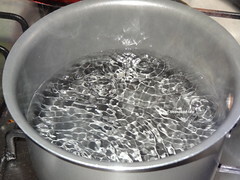 Boil 1 1/2 cup of water, teaspoon of oil with Salt. 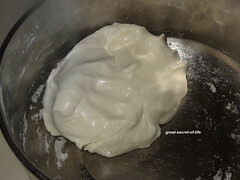 Reduce the flame and add the flours and mix well with spoon. 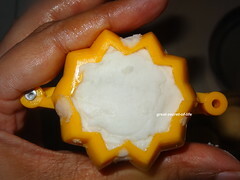 Switch off the flame and leave it for 3-5 mins. 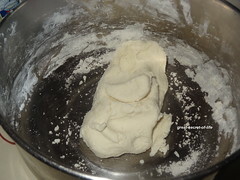 Apply oil on your hand and mix the dough well. 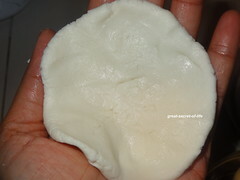 Dry Roast coconut. 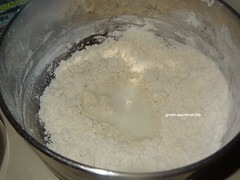 And mix all the ingredients under For stuffing section. 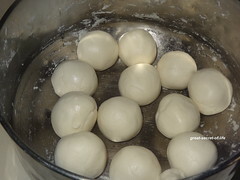 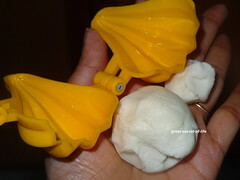 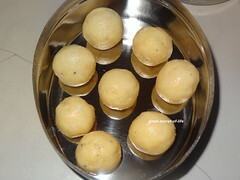 Grease ur hands with oil.Make lemon sized rice dough small balls and flatten them as thin as possible like a small cup. 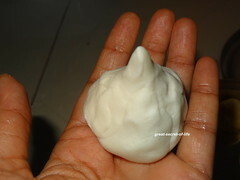 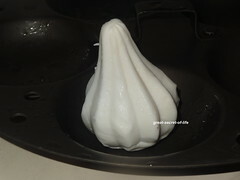 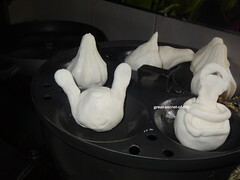 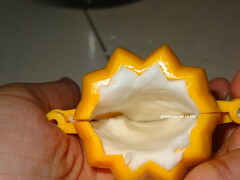 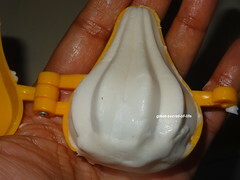 Carefully remove the modak from the mould and repeat the process. 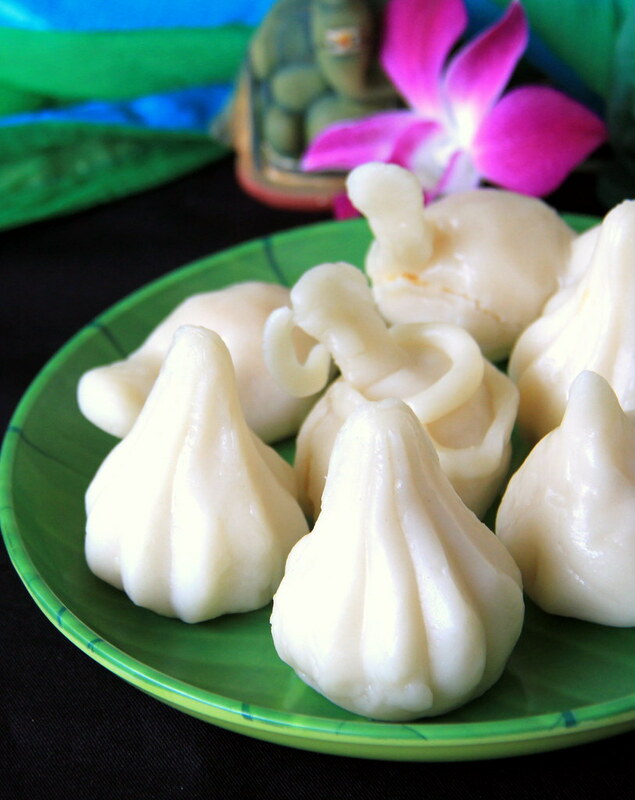 Yummy modak!! 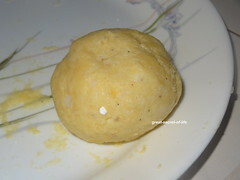 Love the khoya filling!! 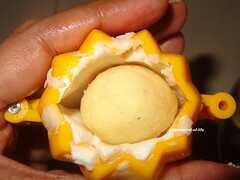 Delicious filling, happy Vinayagar Chathurthi to you too..